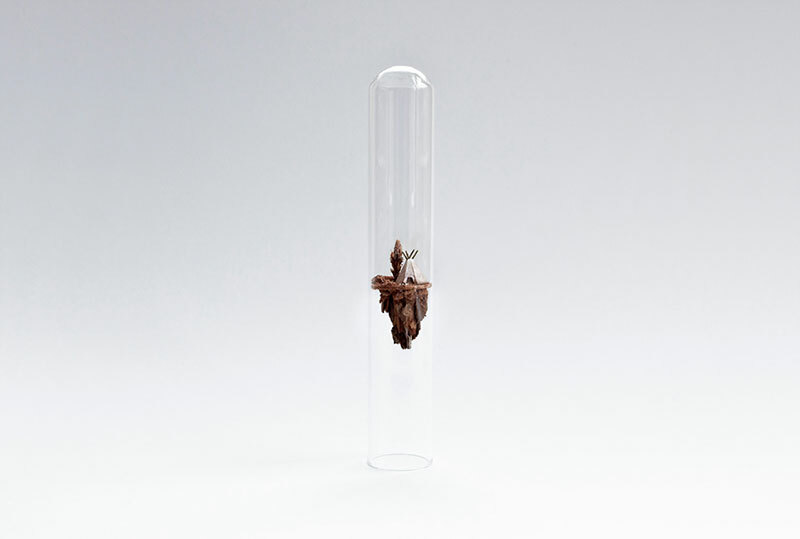 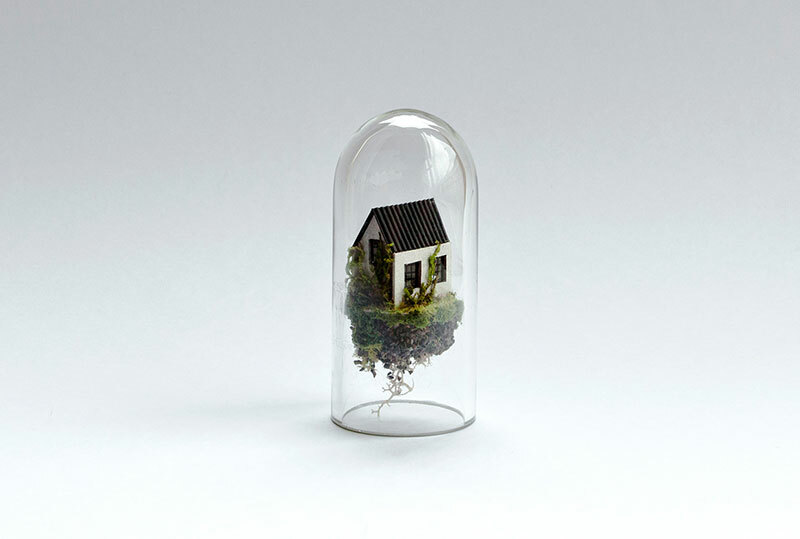 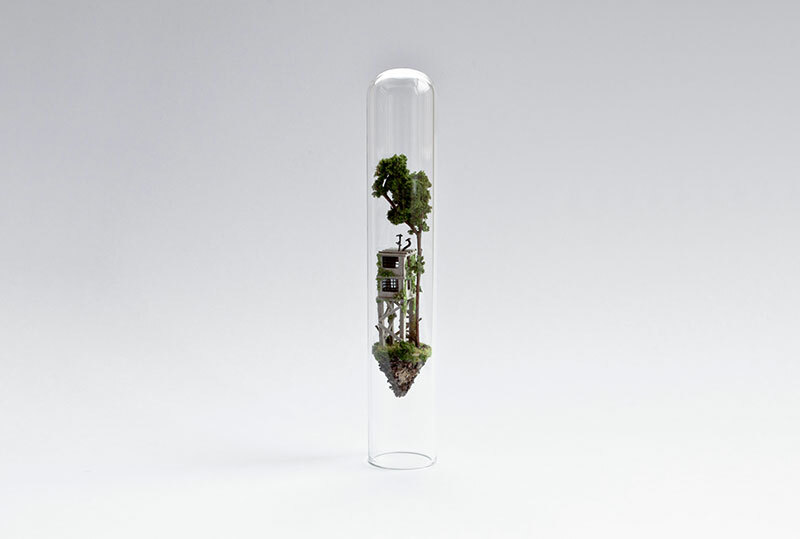 Tiny miniature worlds made by hand and suspended inside test tubes by Amsterdam-based designer Rosa de Jong. 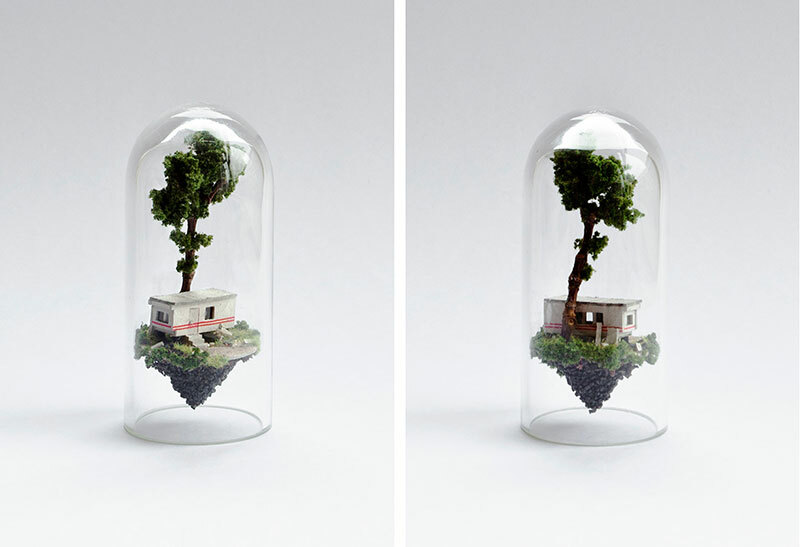 Entitled Micro Matter, the series features houses, buildings, trailers, tents and trees created using paper, cardboard, tree branches, and moss. 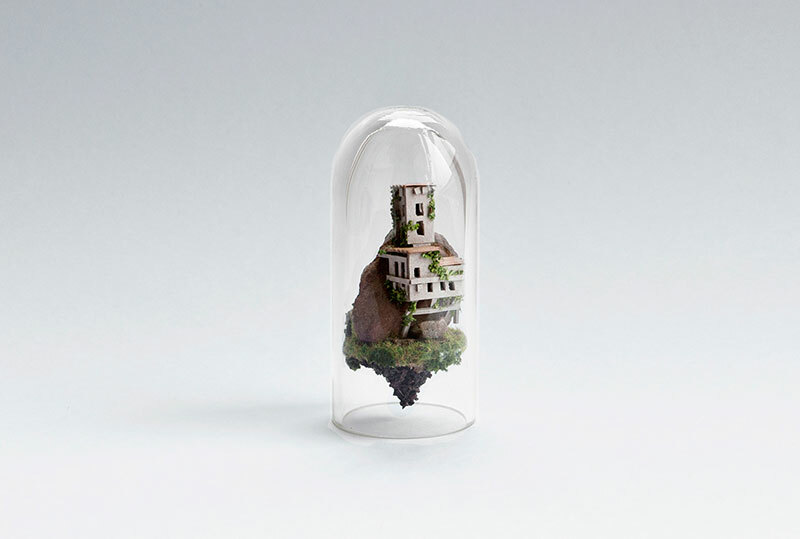 The small scenes depict architectural environments that teeters on the edge of a mound of earth that hovers in mid-air. 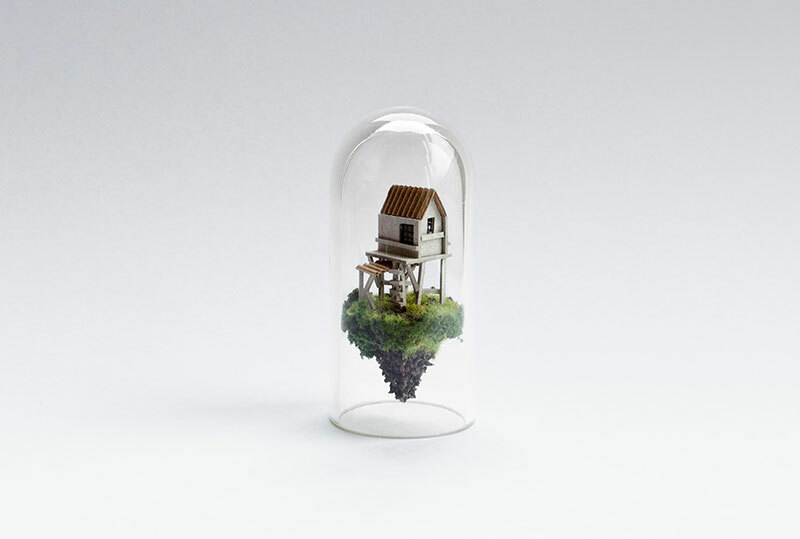 You can see more of de Jong's work on Behance or on Dribble. 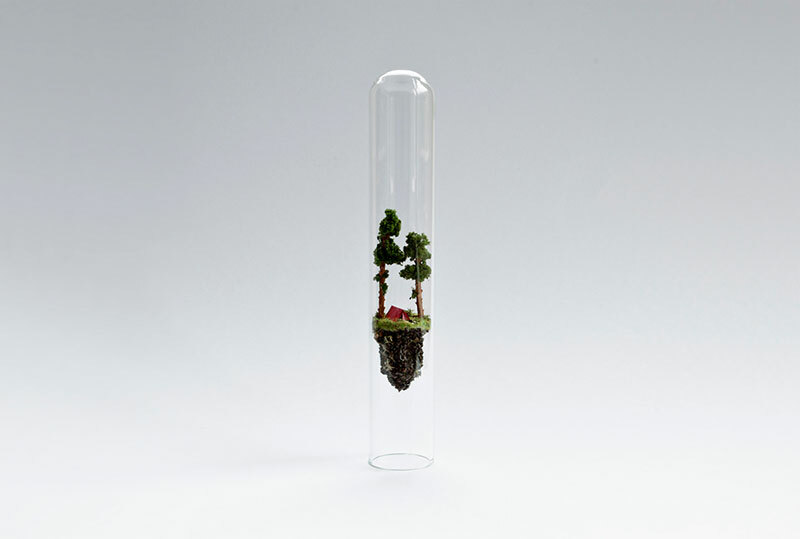 Tiny miniature worlds made by hand and suspended inside test tubes by Amsterdam-based designer Rosa de Jong.